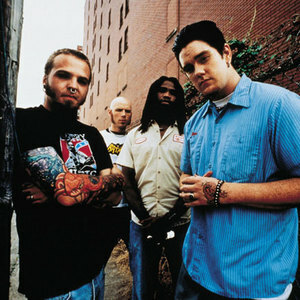 Primer 55 is an American nu metal band from Louisville, Kentucky. The name originates from the combination of Primer, meaning "something that's unfinished," and 55, which refers to Interstate 55, "the road that drugs run on to get to Chicago through Memphis". Primer 55 was formed in 1997 by guitarist Bobby Burns and vocalist J-Sin. The two met when J-Sin's previous band was the opening act for Burns' previous band. Primer 55 was formed in 1997 by guitarist Bobby Burns and vocalist J-Sin. The two met when J-Sin's previous band was the opening act for Burns' previous band. Burns' heavy metal music influences and J-Sin's hip hop influences melded to create the band's rap rock sound. Bassist Mike "Jr." Christopher and drummer Josh McLane were then added to complete the line-up.